I-75S to Ex 159 rt on HWY 22 appx 22 miles, left on HWY 227 at schools, travel approx 6miles to left on SR 845 (At Hesler Assembly of God) 1.3 miles on right, see sign. 34.5 AC. 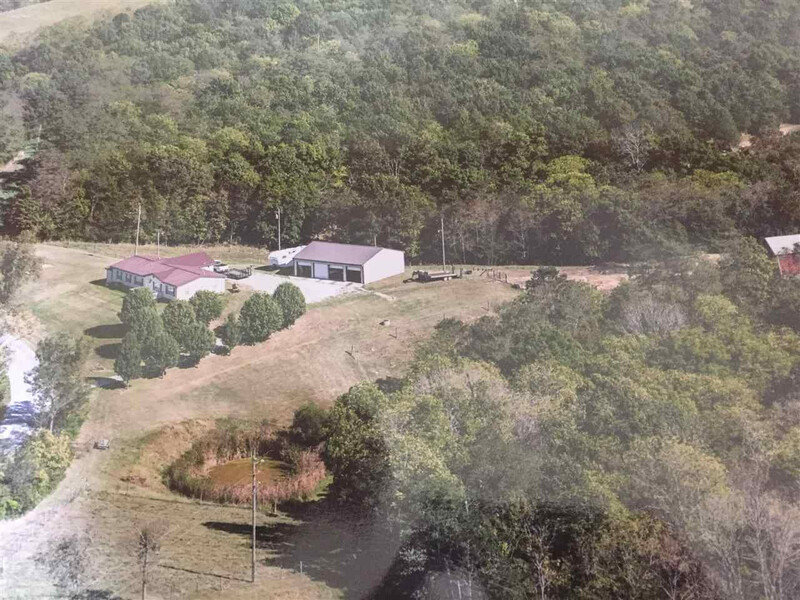 Dream of the country, peaceful, laid back, yet this property has so many options, cattle, horses, fencing, stream, pond, gardening, AND hunting. Beautifully maintained manufactured home, large rooms, equipped kitchen exceptional cabinets, island, open space, formal dining. Move in ready. Garage has 220 wiring, an office/storm shelter, equipped to weld, detail cars or restore "THAT" car.